Margaret Read MacDonald, renowned author of more than 15 books on folklore and storytelling, teams up with librarian Supaporn Vathanaprida to present this fascinating folktale collection and introduction to Thai thought. Drawing on memories of her childhood in Northern Thailand, Supaporn shares her tales and comments to help both adults and children understand the surprising world of Thai folklore and culture. The 28 engaging stories show many aspects of the Buddhist worldview in action. Humorous stories, animal tales, teaching tales of Buddhist monks, and tales of amazing magical events that entertain the Thai imagination are included in the collection. 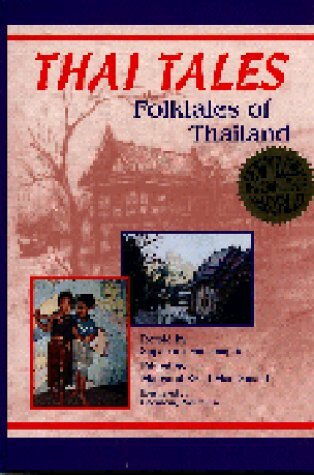 This folktale collection doubles as an introduction to Thai thought. The 27 stories show many aspects of the Buddhist worldview in action, as well as the range of Thai folklore and culture. They include humorous stories, animal tales, parables of Buddhist monks, and accounts of magical events.